British rock band You Me At Six are now on their fifth studio album and well into their careers, altering their sound and somehow moving in two different directions at once. 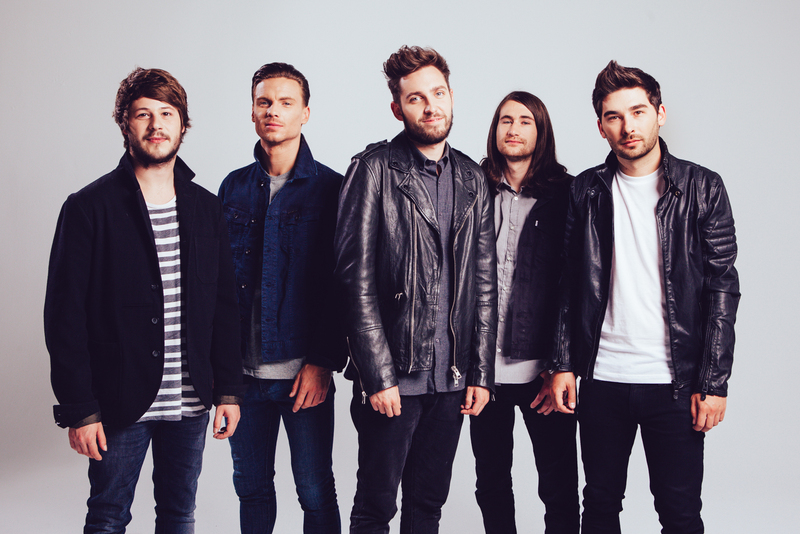 From their quieter, more melodic past that focused mainly on the strength of frontman Josh Franceschi’s traditional rock and roll powerhouse vocals, they alter both aspects of their music to fall on two different spectrums, to varying results. While the instrumentals get heavier and draw more focus, the melodies get more radio-friendly. It is an interesting mix that frequently works better than it should, and if nothing else, Night People is full from front to back of the kind of buzzing energy you can only get from the enduring art form of the hard rock band in its most basic structure. The project presents a selection of very upbeat songs, featuring a driving and incessant drumbeat and huge, smartly written choruses that were clearly created to be played to as big an audience as possible — but sometimes the degree of catering to this area becomes too evident. Still, this is a play by the band a decade into their career for expanding themselves to larger crowds that will likely be very effective due to the strength of their writing and the power to draw people in that charismatic frontman Franceschi has. Franceschi’s voice is the frequent highlight, capable of going from breathy and haunting (often accompanied by some vocal effects to enhance this feeling) to a full-throated rock and roll belt that extends high into the tenor range. This louder side really works with the new, more powerful guitar instrumentals and heavy chords, making the songs larger than life. Ever since 2014’s single “Lived A Lie” got the band a lot more recognition, they’ve shown that the one thing they really know how to do is write a chorus, and you can already picture a huge crowd of people at a festival singing alog to songs like the title track, featuring a repetitive but effective chorus with some easily followed whoa-oh-ohs. The heavier sound was a great idea, in moments when we are hit with the wall of sound of deafening guitars in a chorus like “Swear”, it is impossible not to get caught up in the pounding vortex and become more engaged in the song. A lot of the tracks are very similar in structure, built around a catchy guitar riff and quieter vocals before exploding into a very heavy chorus — the songs are still all quite good as the formula works well for the band, but when the music is this in-your-face it becomes tiresome even on a brief 10-track album like this one. While not many people are doing this anymore and it’s great to hear just for the classic sound persisting in 2017, when it comes down to it nothing new is tried at all – almost every song on here is just a tired combination of a basic drumbeat, repetitive guitar loop and pop-leaning hook of a chorus that could be by 80% of alt-rock bands out there. Still, a lot of the time, Franceschi’s voice is excellent enough to save it from being completely boring. Really the only time they break from formula a bit is highlight “Can’t Hold Back”, which features forays into harmonies and a drumbeat that – miracle of miracles – isn’t the commonly known “rock beat” and clicks and clacks to enhance the song’s driving power even further. When the songs get slower, like out-of-place ballad “Take On The World”, the music drifts too close to being an everyday pop record like the watered-down folk bands that dominated the early decade’s radio waves. While often lacking in personality, the blend of sounds that the band attempts to achieve on Night People is admirable, and when the 35-minute album inexplicably begins to drag despite its brief runtime the quality of a tried-and-true rock and roll voice like Franceschi’s saves it. 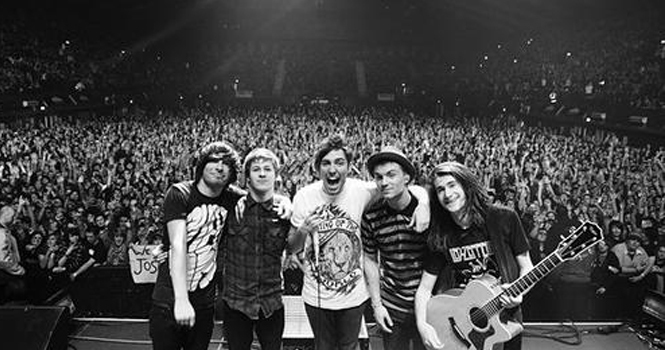 If You Me At Six really put some time into making something completely their own, they might be unstoppable. For now, it’s alright.